The chaos rocking the North has moved to Kano again as it was disturbed Wednesday morning with sporadic gunshots in the city center. According to The Sun, the incident which occurred around the Ado Bayero bridge triggered pandemonium as commuters and passer bye scamper to safety. 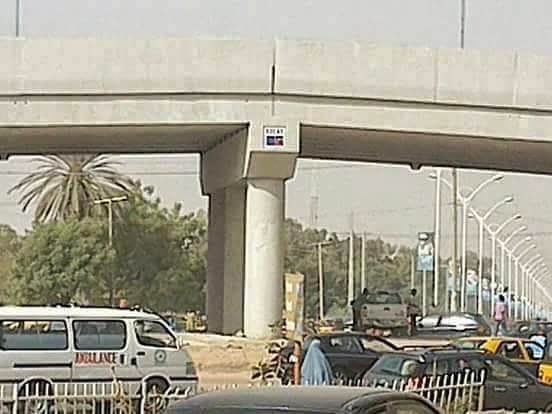 Although details are not yet clear, but security sources said “it was a clash between officials of Kano Road Traffic Agency Popularly known as KAROTA tried to evict an illegal motor park located under the strategic fly over along Zaria road”. The source further said: “the plan eviction met a stubborn resistance and armed security were called in to contained the situation” As at the time of this report, burn fire rages enveloped the skyline of the affected areas. When contacted for comments, the police Public Relation officer in Kano, DSP Magaji Musa Majia pleaded for time to ascertained the true pictures of the security breach.